If you haven’t already heard of Trang Imagineering, they specialise in innovation consulting for the agritech, mining and manufacturing sectors, offering their customers the services required to successfully engineer innovative ideas. 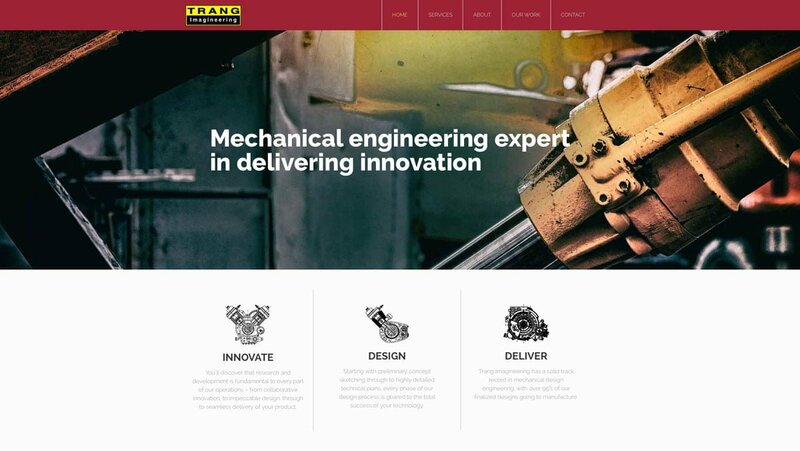 Trang Imagineering approached us to create a professional website for them and asked us to do a full SEO review to rewrite all the copy for the new website taking into account SEO best practices and identified keywords. As a second phase, we are going to help them with Facebook marketing and Google AdWord campaigns to promote their new website and services. Trang Imagineering is based in our hometown of Orange. But if they’d been based in Bathurst, Sydney, Melbourne, or anywhere else in Australia they would have received equally successful outcomes. So no matter where you’re situated, get in touch with Social Web Works today and find out what a huge difference we can make to your online and marketing success.